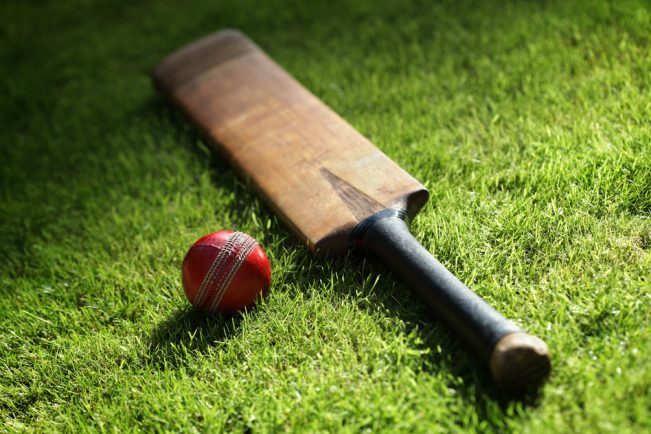 COOKHILL got their Worcestershire League Division Six campaign off to a winning start with a 105-run victory over much-fancied Harvington. The visitors arrived at the Howard Brazil Memorial Ground in confident mood but were met by a home team determined to lay down a marker having stepped up from the Cotswold Hills League. Cookhill openers Daniel Mills and Brad Horsnall batted patiently, adjusting to the slightly sticky wicket before Horsnall succumbed to Trevor Knowles. Mills (24) missed a straight one, bowled by Josh Hoyes, followed one run later by Roger Smith. With the game finely poised and the scoreboard showing 44-3, it was down to Richard Biddle and Kenny Hirst to rebuild the innings. Both batsmen mixed up their shots, pushing the field back then making the most of the space by running hard as more than half of their 91 partnership was ran. Hirst (45) was first to depart, bowled by Felix Shears, to end an innings including one four and three sixes, one of which went into the orchard behind the sightscreen. The old adage of one wicket bringing two was true as 34-year-old Luke Morris suffered his first ever duck in senior cricket. Biddle’s innings of 45 including six fours was cut short when he was caught by Selwyn Jones off Shears, but Cookhill managed to post a respectable 165-7 from their reduced 35 overs. Any initial worries about the first innings score were soon put to bed as skipper Liam Donohoe took three wickets in his opening four overs – bowling Knowles and Thomas Tew and having Chris Andrews sharply caught by Neil Shuttleworth low in the slips. Donohoe’s devastating spell saw him take three wickets in seven overs for the loss of only two runs, while Simon Edmunds was unlucky to be wicketless after completing his seven overs for just nine runs. Only Mike Hoyes (26) put up any resistance in the Harvington batting line-up as he tried to make amends for his earlier drop in the field and the runs it had cost. Tight bowling from Shuttleworth (1-10 off seven overs), Andy Fennell (1-16 off seven) and Roger Smith (1-8 off three) who also picked up two run outs restricted Harvington to 60-8. Cookhill visit Ombersley on Saturday.